Russia Begins Withdrawal from Syria. A small group of SU35s, Russia’s most advanced war plane were deployed to Syria only weeks ago. Khmeimim airbase (also written Hmeymim‬) on Google Earth. A South Frnt still shows the areas of control in Syria and south western Iraq as of March 14th, 2016. Russia Announces Withdrawal of its Military from Syria. On the eve of UN brokered peace talks, the Russian Government has made the shock announcement that they will withdraw the “main part of their military grouping in the Syrian Arab Republic” beginning immediately. The statement from the Kremlin does not say how many of the Russian Aircraft and troops will be withdrawn from Syria nor how long it would take but it has already started. This is a very strange turn of events when it is considered that Russia was sending more warplanes to Syria less than a fortnight ago. South Front reported in early March that Russia had just sent several extra aircraft to the Syrian base and provided an updated inventory of the Russian Airforce in Syria. South Front’s updated inventory of Russian warplanes in Syria from early March, 2016. This indicates that the decision to begin to withdraw was taken in the past several weeks. What Forces does Russia have in Syria? The Russian Air force has stationed almost 100 aircraft in Syria, the estimates for the number of Russian troops in Syria range between 5 and 20,000. Whatever the number, Russian forces have not played a significant role in ground battles. Officially, the Russian military have suffered three deaths during the Syrian operation, two on November 24th last year when Turkey shot down the Russian SU24 aircraft and another soldier died in the rescue effort and a soldier who died earlier this year as the result of a reported ISIS mortar attack. There were also credible reports that a car bomb attack in Latakia claimed by Ahrar al Sham had killed at least ten Russian soldiers in late February. The story disappeared but there were people on both sides telling neutral sources it happened. The Russian decision comes as a shock as they are a vital element of the loyalist coalition that is midway through several major operations. The motives for this decision will become clear over time but it seems that Russia has decided to put its will towards ending the war in Syria. It is possible that Russia is attempting to send a message to their Syrian Government allies that they must be flexible in their negotiations with the opposition. In recent days the Syrian Foreign Minister stated that the status of the Syrian President Bashar al Assad was not up for negotiation. It is possible that Russia would like to see Assad and coterie head into exile as a way to end the war. Russia has tended to be at least one step ahead of Western observers in recent years so only when we see what happens next will Russia’s intent become recognisable. There are three obvious possibilities. This is a ruse designed to bolster the Geneva talks and Russia’s international image. The US and Russia have made a secret deal regarding Syria’s future that will end the war. Russia wants Bashar al Assad to leave Syria and is trying to make Assad understand that he must yield to the demands of the opposition and leave power. My understanding is that Russia is perfectly happy to see Assad leave as they understand that the demand for his departure is merely an excuse for the destruction of Syria via a continuation of the war, their priority has clearly been the survival of the Syrian state and the Syrian army, under whatever leadership. If the war could be ended by his departure, in an orderly way it is highly likely that Russia would request that Assad leave Syria. This is a provisional map of the ceasefire areas. The orange areas are government controlled. The green areas are under juhadist control and the ceasefire areas are in blue. The cessation proved more significant than the small blue sections of the map would indicate. Brief Summary of the Military Situation in Syria. Around one hundred small insurgent groupings chose to participate in the partial ceasefire. The cessation did not apply and was never intended to apply towards either ISIS nor the local al Qaeda franchise the al Nusra front. Another large grouping Ahrar al Sham chose not to participate in the cessation due to the fact that the al Nusra front, their close ally, were excluded. Therefore the only insurgent groups of any significance to participate was the Jaish al Islam, largely based in the outer Damascus area and the Southern Front coalition of insurgents fighting in the far less active southern parts of Syria. On paper it seemed then that the cessation of hostilities would make little difference but the fighting has been sharply reduced in the fortnight since implementation and Russia has been helping to negotiate a series of local amnesties and ceasefires, building on a tactic the Syrian Government has been using for several years and that has seen insurgents allowed to leave many areas including Homs city. Since the cessation began anti Government demonstrations have resumed in the rebel held areas but they are neither large nor enthusiastic. On the weekend an attempt to hold a pro-democracy rally in Idlib backfired badly when the “democratic’ protesters were attacked by Islamists advocating the implementation of Sharia law. The overwhelming desire of the majority of the people appears to be for the war to end and be able to resume their lives. The sooner it is over the better, but the problem of al Nusra, ISIS and their sponsors is not suddenly going away, even if the Americans decide to call it a day, there are strong indications that neither Turkey nor Saudi Arabia would follow the advice or direction of the US. Looking from the Latakia mountains down into al Nusra held Idlib province. The town of Jisr ash Shigour is the white patch in the upper left, at a distance of around 7 kilometres. Syrian Amry rockets impact on a Latakia mountain viewed from a surveillance drone. The Latakia offensive is almost complete and the assault is poised to move onto Idlib province in the coming days and weeks. A large operation is also underway against ISIS in the area around Palmyra in central Syria. Fighting continues in the Hama and Homs countryside and in southern Aleppo. The Der ez Zour pocket showing the SAA positions. Besieged Der ez Zour and Conclusion. Thousands of Syrian troops and hundreds of thousands of civilians remain encircled by ISIS in the eastern city of Der az Zour and although ISIS are on the path to total collapse in both Syria and Iraq, without Russian air support it is hard to see the Syrian Army liberating Palmyra and defeating ISIS and al Nusra in Syria. The attempt to end the war is admirable but this will not solve the problem of al Nusra and ISIS each of which retains significant territories within Syria. It must be assumed that Russian air strikes will continue in Syria for many months at the very least with a scaled down presence conducting a smaller campaign. Anything less would be a betrayal of all they have achieved up to this point. EuroTerror: the Zionist Attempt to Chase the Jews from Europe? 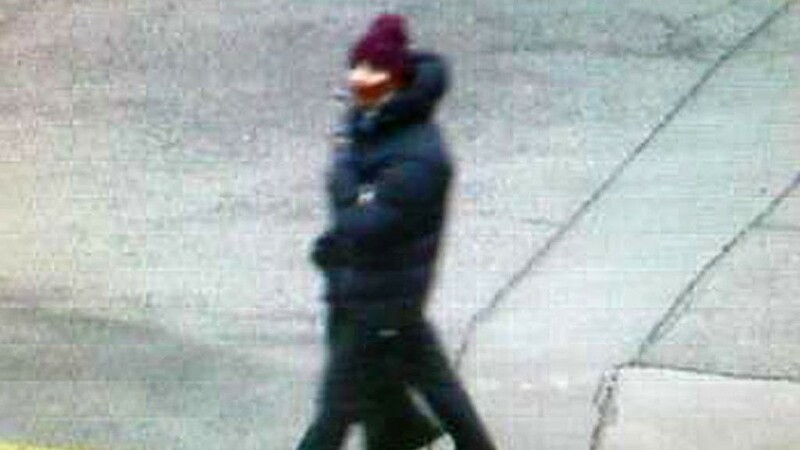 Omar Abdel Hamid el-Hussein the alleged Copenhagen killer. Euroterror- Zionist Attempt to Chase the Jews out of Europe? Don’t forget the Police State. 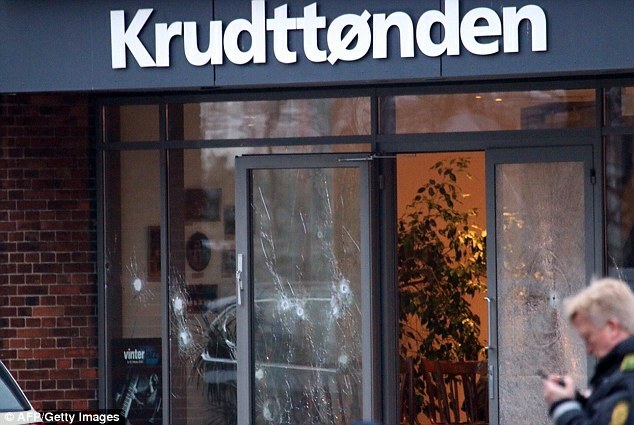 At least half a dozen incidents in France, several now in Denmark.The horrific siege in Holland. Violence and arrests in Belgium, arrests in Greece, France, Belgium, Ireland, Attacks on Ancient Jewish Cemetaries!? 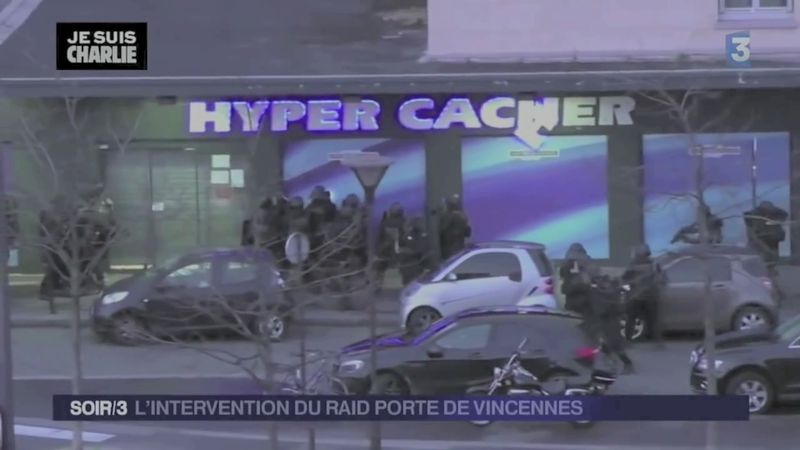 It’s really been an intense outburst of “violence” over the past month or so since the Charlie Hebdo incident in the 11th Arrondissement on January the 7th. The same pattern every time. The suspects are well known to authorities. Suspiciously well known to authorities. Every event no matter how petty is used to create a sense of crisis and accentuate the threat despite the clearly weak and petty nature of the attacks, with only the Charlie Hebdo shooting having pretensions of being a military style attack. Every single event serves either one or two causes, Zionism or the Security State and frequently both simultaneously. On the basis of five deaths Netanyahu thinks he can persuade more than half a million Jewish people in France they are no longer safe. We are expected not to notice that the exact same factions turn up in the days after every one of these atrocities, from 911 to the present day and explain to us why we need to live in a Police state and view the world from the Israeli point of view. The same factions ride the wave of terror to power and political survival every time the world has the temerity to notice their true nature. Zionism being supremacist and colonialist, the War Machine being completely venal and happy to bomb anything. As long as the products they sell remain in demand they are happy. The Zionist narrative is a real problem solver for the War machine, you can fight pointless wars against numerous Muslim enemies on whatever basis politics of the moment dictates, Plus you get the fake bogeyman required for the police state, “Islamic extremists”, and as a special bonus the people from the agencies help organise the fake terror attacks to make sure the population is in the right “frame of mind” to accept the program. Everyone’s a winner! Other than the people of course. 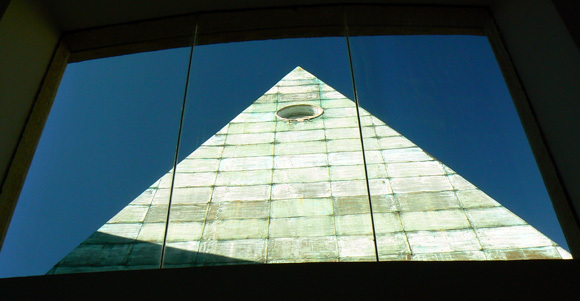 The Eye in the Pyramid from the Rothschild funded Israeli Supreme Court. The other really strange thing is the timing. After all these years, two major wars of Occupation and many more places bombed and yet all in all Western governments since the George W Bush era have had a less openly barbaric approach to Muslim people. They still do evil things, like destroying Libya for example, but it is done in a much less disgusting and offensive manner than during the Bush-Blair nadir. The policies may not have been less damaging but they were certainly less provocative. 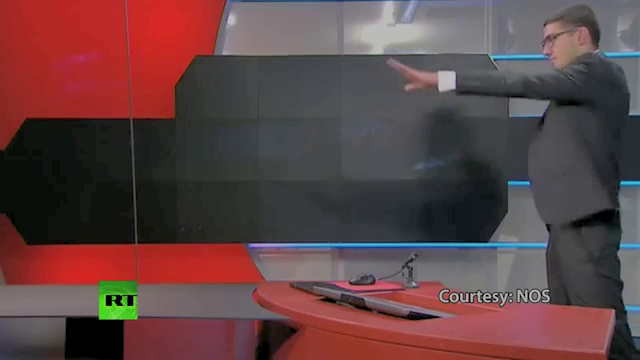 Controlled media under attack. Holland. What possible purpose could even the supposed deluded zealot think was being derived from something so futile and depraved as an attack on a Jewish cemetery? Zionists demand compliance, when people don’t comply with their wishes, bad things start happening. All the nice Jewish people living safely and harmoniously in Europe would seem harmless and indeed laudable to the casual observer, but to the Zionist all those people and all the people who live happily and peacefully alongside them are a terrible affront. 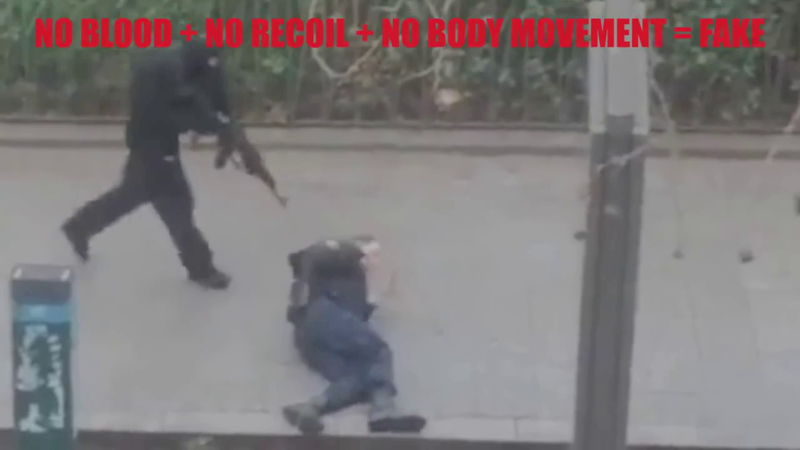 This is the key to understanding the wave of terror in Europe this year. Zionists targeted the Iraqi Jews with small scale terror attacks in the early 1950s for the exact same reason it is worth remembering. Their presence there was contradictory to the Zionist narrative. The Jewish community attack. Pt.1. The Security forces and the Controlled media each play a crucial and obvious role in the New World Order and the War on terror. The “Clash of Civilisations” cartoonists are hit to promote the Clash of Civilisations narrative. The media are targeted to make them look honest and credible and under threat, the Security forces are targeted in order to get them more funding and power and Jewish targets are hit in order to buttress the fading Zionist narrative. They rely on the pretense that Israel is necessary because of the permanent ongoing threat posed by Gentiles, when reality is contradictory they seek to change the situation in their favour. The Controlled media, the Zionist leadership and the Security Services reveal themselves as the key partnership group in all the big lies of our time. It was encouraging to see that Netanyahu’s comments drew widespread criticism including from the French President. There is always the hope that if Netabyahu continues to make it so obvious he may wreck the illusion they have worked so hard to create. It seems clear that these operations will continue until either European Jews comply with the Zionists wishes and start to leave in large numbers, or the Zionists are caught and forced to stop the Terror. September 4, 2014 January 29, 2016 James Robertson "Islamic State", Controlled media, Hoax event, Islamic State, Psychological warfare, War on terror. MI6 Chap and his Mossad pal, pose together on an unknown soundstage. Oops They Hoaxed it Again! 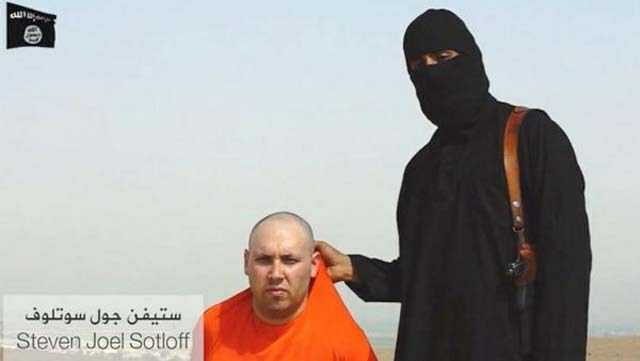 Beheading Hoax Mk.2 Steven Sotloff. There is a funny scene towards the end of the Monty Python classic “the Life of Brian”. A large group of prisoners on their way to crucifixion are greeted by a cheerful Roman soldier/bureaucrat, who greets the prisoners and instructs them, “Out of the door, line on the left, one cross each”. One prisoner states “No, I am not sentenced to crucifixion, I’m was sentenced to freedom”. The incompetent Roman bureaucrat has no idea the man is lying and says “All right them, off you go” Whereupon the man sentenced to crucifixion admits he has been lying, he too has been sentenced to crucifixion, the Roman bureaucrat scolds him lightly, they both laugh at the prank, and the prisoner resumes his place in the group of men about to be crucified. It’s a joke about bureaucratic incompetence and also peoples mindless subservience towards it. The reason the scene is funny is it’s absurdity, it is ridiculous, no-one sentenced to be crucified who managed to talk their way out of it would ever possibly confess immediately and return to the condemned group. The bizarre, absurd and fraudulent “beheading” videos of US journalists James Foley and now Steven Sotloff are truly Pythonesque in their absurdity. IS jihad nutter enters the cell where captured US journalist is being held. After greeting the prisoner and exchanging minor pleasantries, the British born jihadist nutter explains the unfortunate situation to the captured journalist. British Jihadist nutter. “Excellent” Departs. These men are journalists, they are not complete fools, they would know that the US is never going to change what it does based on threats to hostages from Jihadists. They would know that the videos would have the exact opposite effect, they would galvanise the United States public against the “Caliphate” make the need to destroy them and attack them seem more urgent and be more popular. One interesting thing about this rather dismal psychological operation, is that the creators of these fiascos clearly tried to learn from their mistakes in the Foley video. There are some minor improvements. They clearly decided that the lack of wind noise in what purported to be a Video shot outdoors was a problem, so the Sotloff video has far more wind noise. They seem to have simply procured a more powerful fan and turned it up to it’s highest level. They also improved the “death shot”, producing a fake video (rather than simply a photo as in Foley video) purporting to depict the corpse of Sotloff with the head sitting on the top. The immediate goal of these Videos and this group are fairly obvious. Raise the level of fear amongst Western civilians, destroy the social fabric of the Middle East, mimicking the Zionist movement with Neo-Bolshevik Sunni Extremists and rejuvenate and ‘renew the narrative” of the Global War on Terror. These monsters have been manufactured and they have been hyped, but many of their crimes are very real. The fact that these videos are not authentic does not change that fact. The sad truth is that the “IS” group are the enemies of humanity, they need to be dealt with sooner rather than later, and I support all of the Military Operations being conducted against them, despite the cynical and dishonest nature of this psychological operation. The way the USA watched passively as the IS looted the Iraq Army weapons stockpiles is extremely suspicous, especially the way they were allowed to drive the hardware back to their Syrian strongholds. It i9s time for the West to abandon the operation they have been conducting against the Government of Syria over the past four years. It has failed, it has been a fiasco and has only deepened the instability and chaos in this region for no tangible benefit. There is no doubt the Ba’athist government in Syria has committed many crimes over the years, there is equally no doubt that the Syrian government is not Sectarian, represents stability and is vastly preferable to any of it’s rivals in Syria. \Where the Neocons failed to get their War in Syria, they succeeded in Libya. Gaddafi, like the Ba’athists in Syria had many faults and committed many crimes, Libya is now a failed state. Revolution almost never achieves positive change, especially when it is violent. The people of the Middle East have suffered unbelievable torment and privation as a result of the deluded policy of chaos pursued by the West over the past decade. When things go wrong as in Libya, they simply walk away as if it had nothing to do with them. These policies are completely counterproductive and immoral and must end forever now. The very idea that “We know best” is no more than an arrogant delusion of the childish megalomaniacs of the Western think tanks.